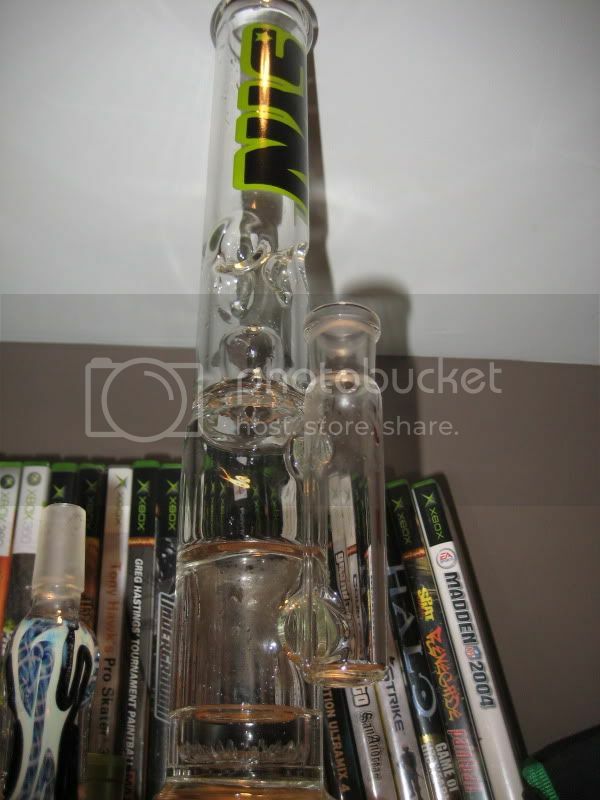 This is a SYN Shower Head Perc with a fixed stem I got it at a local headshop for 300 when it was priced at 400 (which is overpriced now that I've been to Aqua Lab. 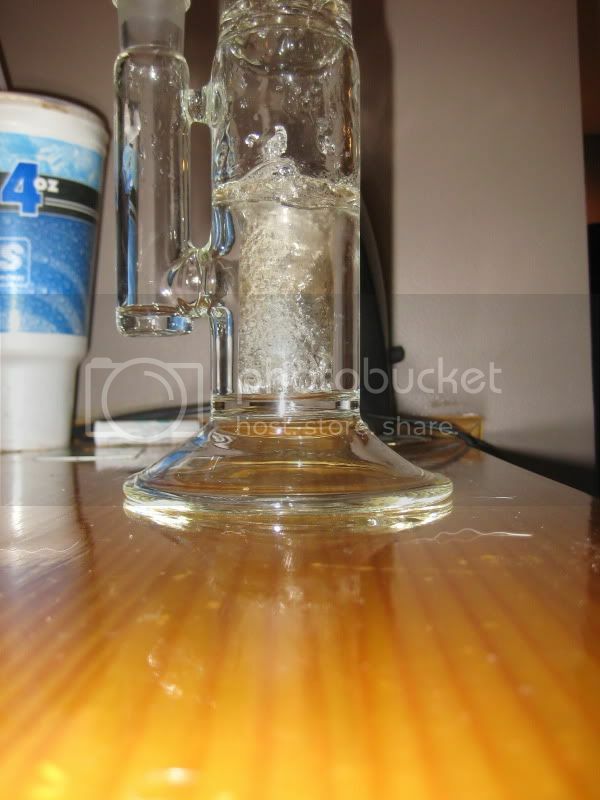 The hit is amazing feels almost like the smoke is being misted. I have one, the minis are relatively compact, and ohh so smooth. Ya this one only stands about 14" high. Fantastic tube bro, gotta love showerheads, peace. edit: cant believe they put a $400 sticker on it, i got my fullsize for $310 plus tax, about 338.
when i get it all together ill take some pics. 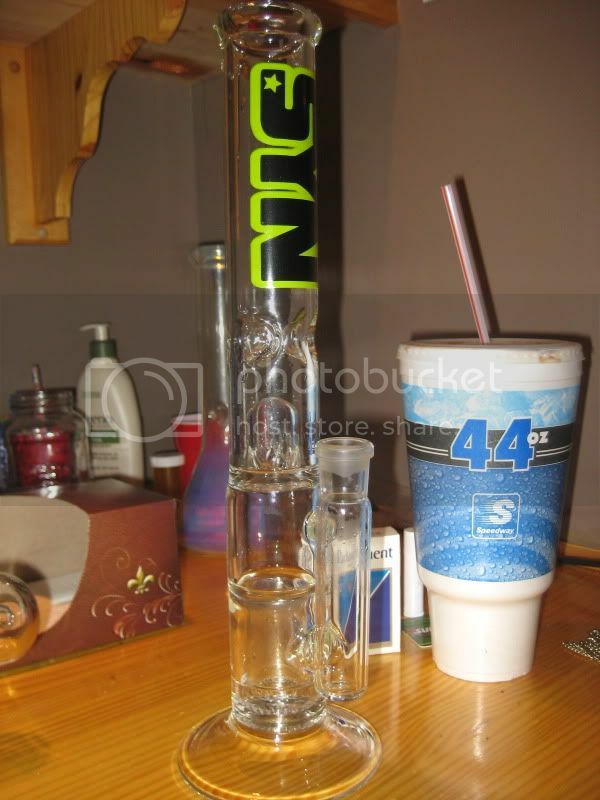 Sick tube, sick bong milk. Ya the Label is one of my favorite parts on it, and that setup should be nice as hell with that Heady AC. I've been thinking about getting a Toro AC off aqua lab but they go out of stock so quick. Homey, I'm so glad you finally found one in stock! !